Official from General Thomas’ Army, Washington , Dec 4, 1864. The latest official information from the army of General Thomas is, that he has so concentrated the forces at the fortifications of Nashville , as to be prepared for any movement which General Hood may venture to make. Gen. Wood succeeds Gen Stanley in command of the Fourth Corps, Gen Stanley being unable to take the field, his desperate bravery at the fight at Franklin mainly contributing to turn what threatened to be a disastrous repulse into a most glorious victory. When part of Gen. Stanley’s command had ran away before the charge of the Rebels, he rushed to the front, had a horse shot under him and was himself wounded, yet still he led on the charge, waving his hat in the air and calling on his men to follow him. He succeeded in rallying his faltering troops, replying seven successive charges made by the Rebels. Col. Opdycke, of the 125th Ohio , commanding a brigade, specially distinguished himself in the engagement. Col. Schofield, a brother to Gen. Schofield, and his chief of Artillery, distinguished himself by the admirable positions in which he placed the Artillery and the manner in which he fought. The great importance of the victory at Franklin cannot be over estimated, as it checked Gen. Hood’s onward course, and gave the Unionists time to make due preparations to meet him. Generals Schofield and Stanley command Corps in full. There has been slight skirmishing between ours and the Rebel cavalry all day. A complete line of intrenchments encircle the city. 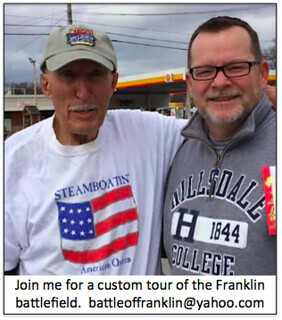 A portion of our cavalry force encountered the Rebel cavalry three miles from this city on the Franklin pike. The Rebels could be plainly seen advancing toward them. Our troops then retired toward the city. Night coming on, but few occasional shots were fired. It is rumored that Gen. Hood is endeavoring to cross the Cumberland River with a large cavalry force. Many experienced officers predict a heavy engagement tomorrow. Our forces occupy lines around the city, are in line-of-battle. Three soldiers were shot and killed by the guards in the streets of the city this evening. Their names are: Arthur L. Cheasy of the Eighth Kansas; John McCartly of the Thirtieth Indiana, and Joseph Brant of the Seventh Illinois Cavalry. We are again, and are likely to be for a week to come, dependent upon the Yankee press for news from Tennessee. Unofficial telegrams from Nashville state that they have at that place five thousand prisoners and forty-nine pieces of cannon, taken from Hood during the battles of the 15th and 16th. We are not in a position to disprove these statements, but we have repeatedly known quite as positive announcements to turn absolutely false and unfounded. Perhaps the telegraph is again to blame, as, from Stanton’s bulletin, it appears to have been diminishing Thomas’s casualties from three thousand to three hundred. 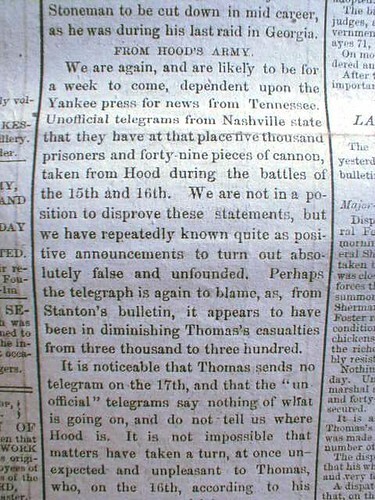 It is noticeable that Thomas sends no telegram on the 17th, and that the “un-official” telegrams say nothing of what is going on, and do not tell us where Hood is. It is not impossible that matters have taken a turn, at once unexpected and unpleasant to Thomas, who, on the 16th, according to his matters have taken a turn, at once unexpected and unpleasant to Thomas, who, on the 16th, according to his own account, was driving our army down ten or a dozen turnpikes at once. Perhaps General Forrest, with his splendid cavalry, have turned up in the right place and put a sudden change upon affairs. He has a way of turning up unexpectedly, and always make his presence felt. He had had abundant time to rejoin Hood, even though he were at Murfreesboro’ when the fight began; and we think there is little doubt he has done so. This assurance, and the knowledge of the weight of Forrest’s sword and presence, together with the certain conviction that Thomas would have telegraphed Stanton had he had anything agreeable to communicate, cause us still to hope that General Hood’s condition is by no means hopeless; and that his army is not, as the enemy express the hope, in danger of being “crushed”. Thomas report, In the Field, December 18, 1864-11 p. m.
Yours of 12.20 p. m. to-day received. I have already given orders to have Decatur occupied, and also to throw a strong column on the south side of the Tennessee toward Tuscumbia, for the purpose of capturing Hood’s depot there, if possible, and gaining possession of his pontoon bridge. I have also requested Admiral Lee to go up the Tennessee River with a fleet of gun-boats, which he has promised to do, and his vessels are no doubt already on the way. 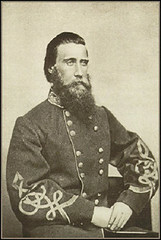 General Wilson informed me to-day that prisoners taken yesterday by him told him that Forrest, Jackson, and another division left Murfreesborough on Thursday for Columbia direct, and that Buford with another division left Murfreesborough the same day and marched continuously until he reached Spring Hill, where he assumed the duties of rear guard to the rebel army. I hope you will be able to fire a salute to-morrow in honor of the capture of Savannah. Duzer report, NASHVILLE, TENN., December 17, 1864-10 p. m.
NASHVILLE, TENN., December 17, 1864-10 p. m.
Just in from the front. Enemy made only sufficient resistance to-day to enable him to get his transportation away. General Thomas crowded him as much as possible, and has captured 1,000 prisoners, driving enemy across Harpeth River, but not securing bridges by which he crossed. Cavalry forded and engaged on south bank, when night overtook us. Have captured no guns or wagons so far as I know. Hood is in rapid retreat, and the state of ground is such as to confine pursuit to pike roads, cross-roads and fields impassable for artillery or transportation. Stragglers and rear guard will be picket up daily; not much else. 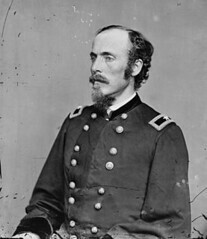 Report just received from Major-General Wilson states that at 6 p. m. to-day he attacked and dispersed Stevenson’s division of rebel infantry and a brigade of cavalry, capturing three guns. 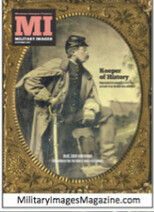 The Fourth U. S. Cavalry and Hatch’s division of cavalry, handsomely supported by Knipe’s division of cavalry, did the work, making several beautiful charges, breaking the rebel infantry in all directions. Had it only been light the rebel rear guard would have been entirely destroyed; as it is, it has been severely punished. The whole army will continue vigorous pursuit in the morning. This attack was made six miles beyond Franklin.